Newton is a subscription based email service which includes extensive features like Read Receipts, Send Later, Sender Profiles, Connected apps and more. 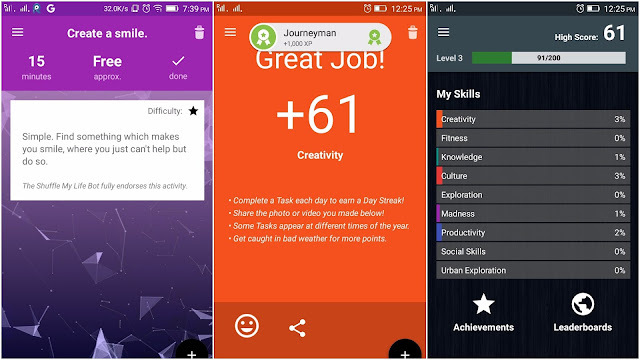 The application is offered by Cloud Magic and is available for 14-day free trial in the Google Play Store. The Newton app was previously known as Cloud Magic. I'm sure a lot of you have used the Cloud Magic app in the past and some of you are still using it as your email client. 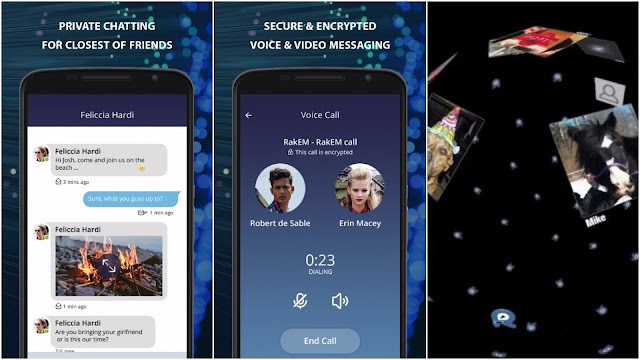 If you are not currently using the service or haven't tried earlier, it's time to explore the app as the updated version has added impressive features. You can add Gmail, iCloud, Office 365, Exchange, Yahoo Mail, Outlook, Google Apps and all IMAP accounts to start your journey. Newton tracks the emails you've sent and notifies when someone reads it and also when someone doesn't respond to your email. 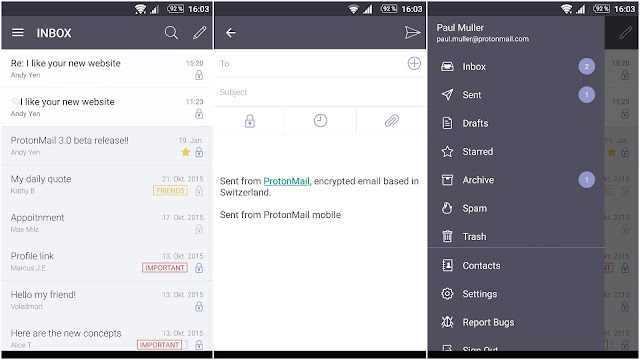 You can also remotely wipes the emails in case your device gets stolen. 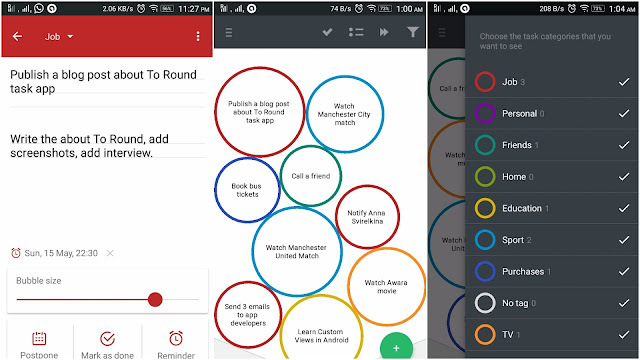 To Round is a task managing application that organizes your tasks in bubbles and these bubbles juggle when your phone is tilted. The app is offered by Future Comes and is available for free in the Google Play Store with no In-app purchases. Start creating tasks simply by adding the title. You can also add date, time to remind you, labels to differentiate your tasks and a detailed description of the task. The size of the bubble will help you realize the priority of the task. Bigger the size of the bubble the important the task is. Once you completed a task mark it as done. All your completed, postponed and current tasks can be viewed anytime. Great Day Readers! To give us more insights into the application development Anna Svirelkina, Marketing Expert at Future Comes responded with the answers. Here are the Q&A exclusive for our readers. Lumi is a curated news application offered by Lumi News. It is available for free with no In-app purchases. Lumi shows you the title and a short overview of the news. You can swipe down to read the entire article. If you like a story, you can swipe right and if you don't like the story, swipe left (you guessed it right similar to Tinder but this is a news app). 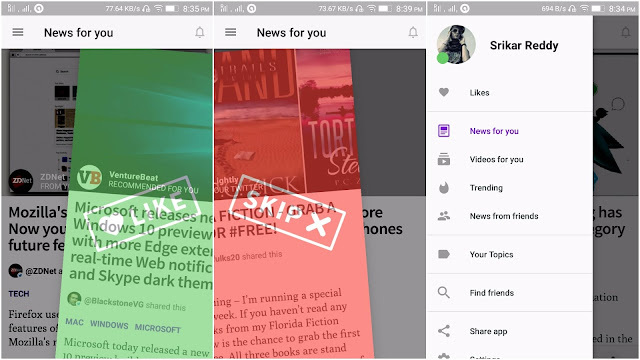 Based on the stories you liked and disliked the app curates your news. You can add interested topics and connect your Facebook, Twitter accounts to personalize news even more. You can also comment on the stories and read offline. Using the app is so easy and you don't have to spend time customizing the topics, adding websites. You can focus simply on reading the news. Great Day Readers! To get more insights into the application development, the co-founder, Martin Stiksel responded with the answers. Here are the Q&A exclusive for our readers. News Republic is a curated news application from 1,650 national and international news sources. The application is offered by News Republic and is available in the Google Play Store for free with In-app purchases. The In-app purchase provides an Ad free versions which costs around Rs. 190.00/year. 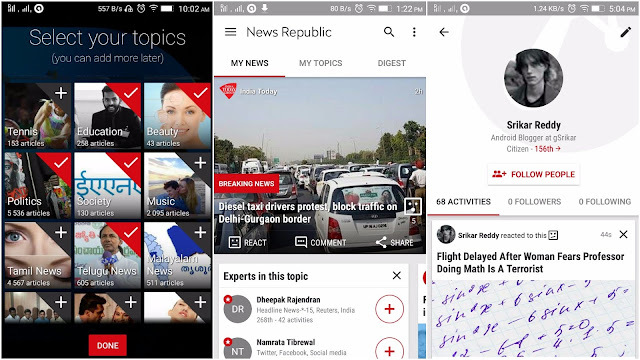 Explore, add interested topics and the News Republic app curates your news feed based on the news items you've read. Set up your profile to track activities, follow friends, experts. The more you engage with the content of the app, the higher you are ranked. Select the favorite topics in the settings that you want it to be available for offline reading or you can save individual articles to read later. Great Day Readers! To give us more insights into the application development, Radhika Shukla responded with the answers. Radhika Shukla is the Country Director of News Republic for India. Here are the Q&A exclusive for our readers. Want to buy a phone and not sure which phone to choose? Mr Phone is a phone search application and is here to help you find the best phone. The application was built by acidandrage and is available in the Google Play Store with In-app purchases. Search for your device and detailed specs gets loaded along with the image. You can tap the image for more pics or save the phone specs to view later. 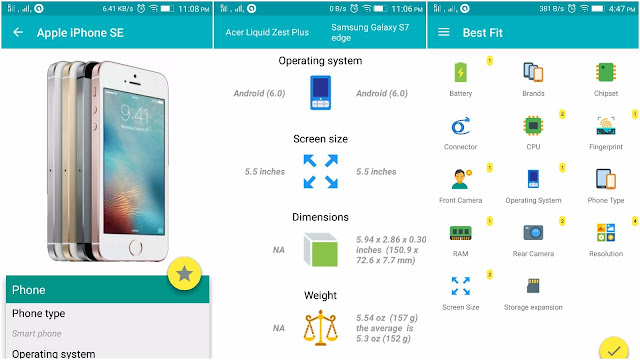 You can compare specs of any two phones or choose to use the Best Fit option. The Best Fit option of the app will show you the list of best-matched phones based on the preferred specs you've selected. Sections like New Releases and Popular shows the newly released phones and the phones that became most popular recently. 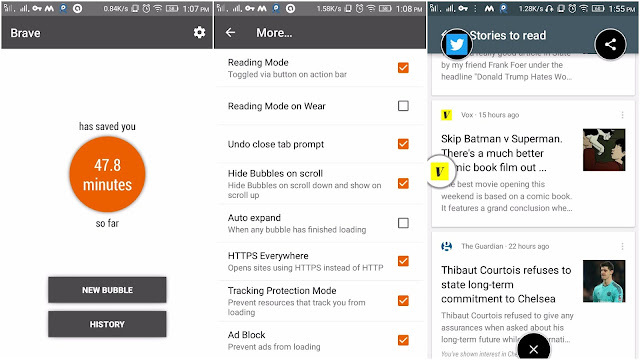 While Stories section gives you to the Top Stories about smartphones, apps, and the Events section notifies you about the launch events of the smartphones. If you regularly give presentations in the meeting rooms then you definitely know that sometimes it becomes difficult to set up the monitor and even though you know everything is right you just couldn't get it to work. This experience could be irritating and the negative start could be distracting. 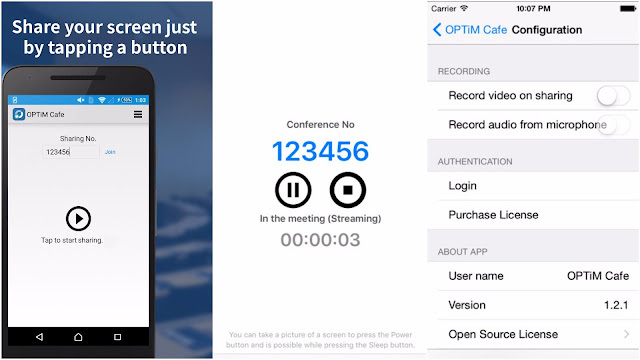 OPTiM Cafe is a screen sharing service that lets you share presentations with your team or client with ease and without the use of a monitor or projector. 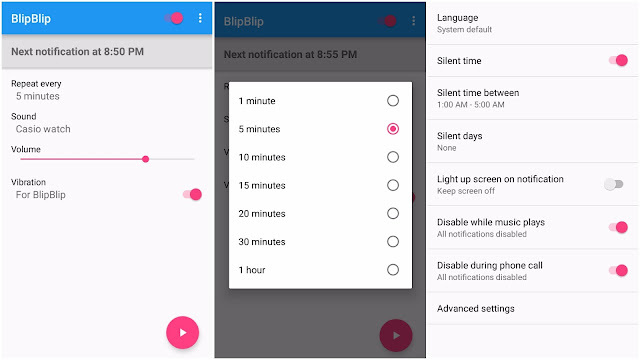 The application was built by OPTiM Corporation and is available for free in the Google Play Store with In-app purchases. Enter a number to start sharing the screen and others can join the presentation with this number. There is no need for installations or registrations. Once you purchase the subscription, the limited time of 15 minutes become unlimited. Have you ever tried to copy text from an app and realised the usual long press doesn't work? What do you usually do? Get disappointed or type the painfully long text? Universal Copy is here to make your life easy. The app is offered by Camel Corporation and is available for free in the Google Play Store with In-app purchases. The In-app purchases are just donations and if you like Universal Copy, don't forget to support the developer. 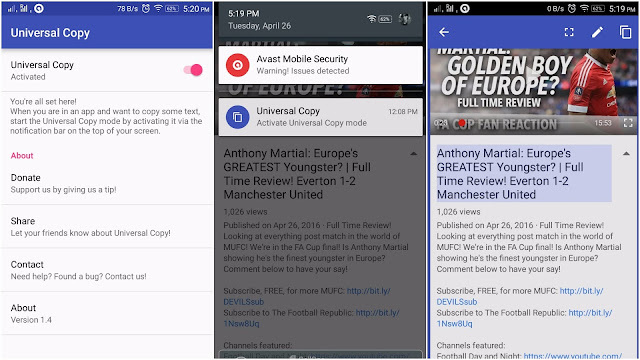 Activate the Universal Copy and you can start copying text from Youtube, Facebook, Twitter, Instagram or any other application. Copying text is so simple, just touch the notification icon and select the desired text. Great Day Readers! To give us more insights into the application development, Murin, lead developer of Universal Copy responded with the answers. Here are the Q&A exclusive to our readers. 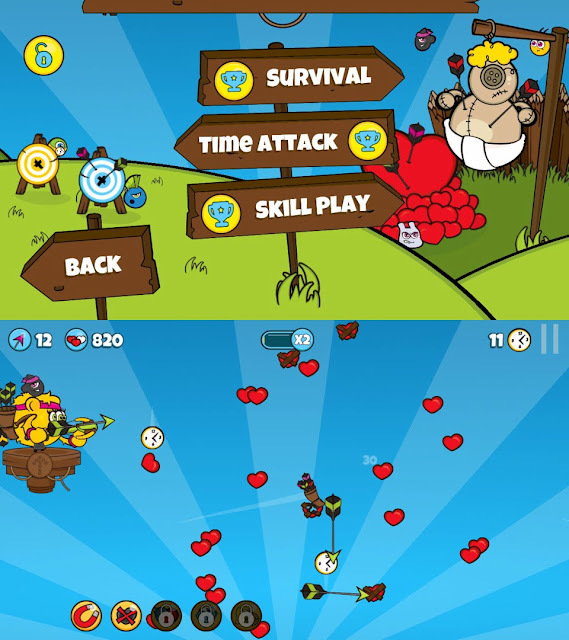 The Meansters: Bootcamp is an archery game designed and developed by Hilum Studio. The game is available in the Google Play Store for Free with no In-app purchases. Choose a game mode from three game modes and a character out of four characters to kickstart your play. The three gameplay modes include Time Attack, Survival and Skill Play. The game is decent and the goal is to pop the hearts and remove cupid from the throne. Gain points to unlock Mini-Means, powers and shooting platforms. Great Day Readers! To give us more insights into the game development, Mathieu Guidon, Software Development Director responded with the answers. Here are the Q&A exclusive for our readers. 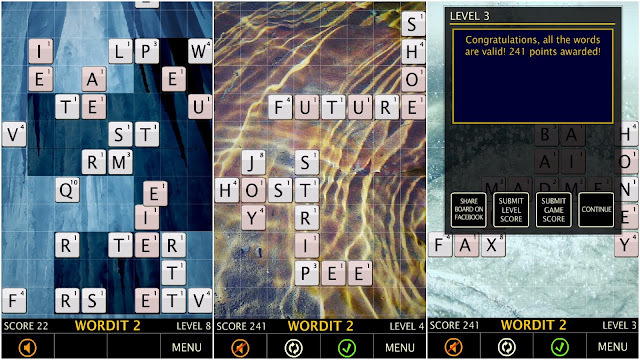 WordIt2 is a casual word puzzle game developed by Creative Spark Studios. The game is available for free in the Google Play Store with no In-app purchases. The game is decent. Drag the letters to form valid words horizontally and vertically using all the letters. WordIt2 has two modes - Normal Mode and Timed Mode. Both Normal Mode and Timed Mode has 20 levels and you can play any level. There is no need to complete the previous level to advance to the next level. In Normal Mode, the higher the level the more words you've to arrange. In the Time mode, new letters get added and valid words get disappeared. The play continues until you run out of the space for the new letters. As you level up, the speed at which the new letters get added increases. Great day Readers! To give us more insights about the game and its development Frederik Hermund, Founder at Creative Spark Studios responded with the answers. Here are the Q&A exclusively for our readers. 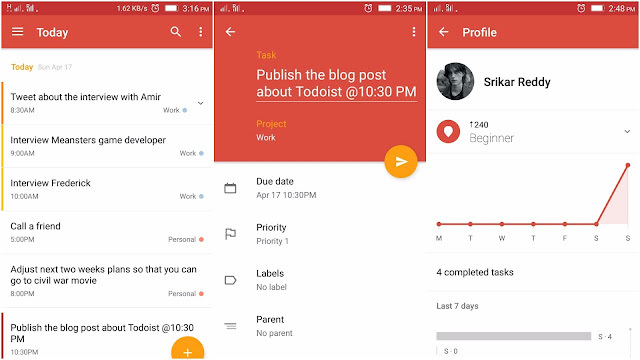 Todoist is a task manager application that lets you create tasks, subtasks, add comments and set reminders. The application is offered by Doist and is available for free in the Google Play Store with In-app purchases. Creating a task can be as simple as writing the task to a more complex and detailed creation like setting the date and time, priority, project type. If you're a pro user you can set labels, reminders and add comments. Swipe right if you're done with the task or swipe left if you want to snooze it. The interesting feature that I liked is the way the app turns the text into date and time. If you type text like "tomorrow" or "every day at 7", the app converts the text into date and time. You can turn the task into a subtask if the task is a continuation of a previous task. You can create projects and sub-projects, Collaborate on shared tasks and get notified via notification, email or as an SMS if changes were made. 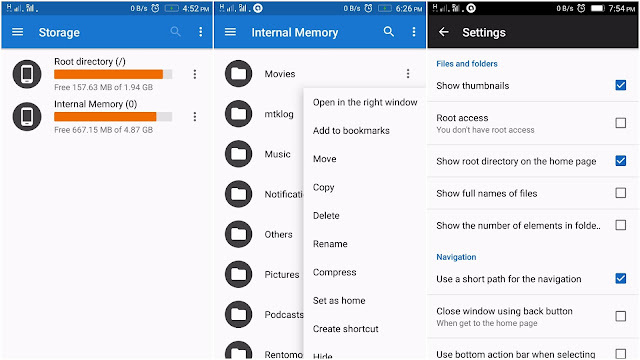 MK Explorer is a simple Material Friendly File Manager application that is available for free in the Google Play Store with In-app purchases. The In-app purchases are donations and not for pro features. The app is build by Mateusz Kornakiewicz. Move your files or delete them, Compress or extract the compressed files. The app has a built-in gallery, text editor, music player. In addition to that, you can add shortcuts to the home screen and the app supports 20 languages. Even though the app has a search box to search the files, it isn't an instant search. It takes time if you're searching through a long list. Great Day Readers! To give us more insights into the application development, the application developer Mateusz Kornakiewicz responded the answers. Here are the Q&A exclusive for our readers. Do you get bored often and not sure how to relieve yourself? Well, do random tasks with Shuffle My Life and banish your Boredom. The application is offered by James Gadsby and is available for free in the Google Play Store with In-app purchases. Shuffle My Life is simple to play. Find tasks by swiping left and perform the task. You will be awarded with points when you cleared a task. These points will help you level up and unlock tasks that are more difficult. Track your progress in the My Progress section of the app. With pro version, you can do group tasks, Save the tasks to do later or get notified to do tasks. The pro version costs $ 1.99. Great Day Readers! To give us more insights into the application development, the developer James Gadsby responded to the questions. Here are the Q&A exclusive to our readers.